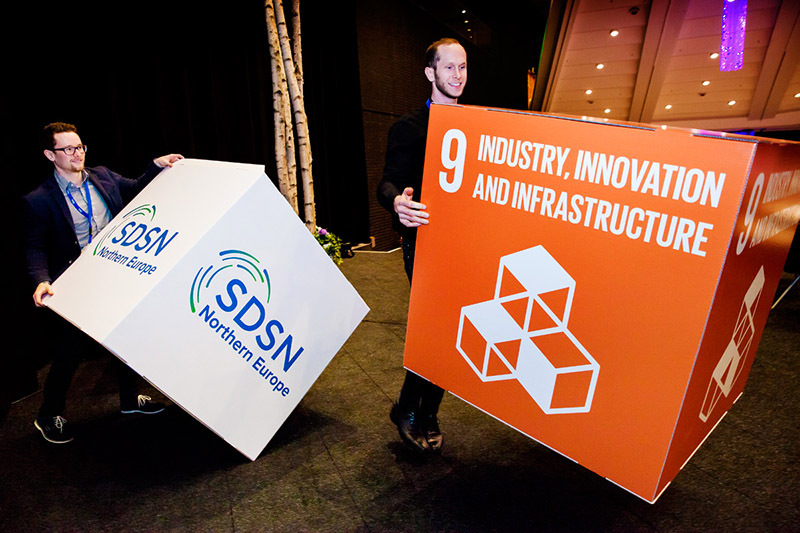 SDSN Northern Europe is an action-oriented network focusing on mobilizing Nordic scientific and technological expertise to solve problems and create a more sustainable society. SDSN Northen Europe includes the following countries: Denmark, Finland, Iceland, Norway, and Sweden. 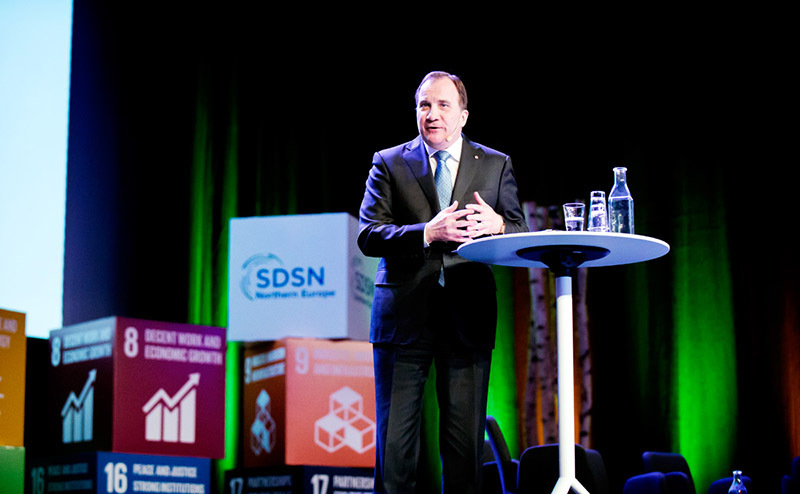 The Northern Europe network was officially launched in Gothenburg February 25-26 with the participation of the Swedish Prime Minister, top academics and the CEOs of several major Nordic companies. Members of SDSN Northen Europe ask questions like: What concrete approaches can be devised to combat marine litter, develop sustainable sources of protein, and provide smart and clean energy for all? 2017 was a crucial year for action to protect our oceans with The UN Ocean Conference happening in June – SDSN Northern Europe responded to that with a report that featured local solutions from the region. Isabella Lövin, Minister for International Development Cooperation and Climate and Deputy Prime Minister of Sweden, Solution Initiative Forum Oceans, 16 May 2017. 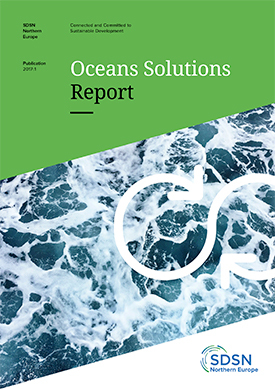 In its Oceans Solutions Report, SDSN Northern Europe gathered some innovative solutions to inspire action and demonstrate that a sustainable use of our oceans is possible. Whether it’s turning discarded hotel linens into carry bags, using residuals from the forest industry to replace traditional fishmeal protein sources, or producing energy from waves, SDSN Northern Europe has performed a fantastic exercise in showcasing local solutions to address global priorities and fullfil the 2030 Agenda. The report was handed over to the Swedish Minister for International Development Cooperation and Climate and Deputy Prime Minister Isabella Lövin during the Solution Initiative Forum Oceans in Gothenburg, as part of the preparatory work for the UN Ocean Conference. The ocean theme also led to cooperation with SDSN Spain and Italy. To enhance engagement, the network has created a practical tool, The Sustainability Atlas, to shed light and offer valuable insights on the current state of the Sustainable Development Goals. It lets the user explore, track, and compare countries using official statistics and grey data. This interactive online solution, with its accessible and easy to comprehend data, helps to empower stakeholders to enter in an informed dialogue with governments, private businesses and civil society, and to better navigate our individual approaches to the SDGs. Saving our Oceans: Around 40 percent of the world’s oceans are heavily affected by human activities – at the Solution Initiative Forum Oceans we join forces to showcase solutions that can reverse the current in a sustainable direction. Empowering People for Sustainable Development: Achieving the SDGs is a huge challenge. 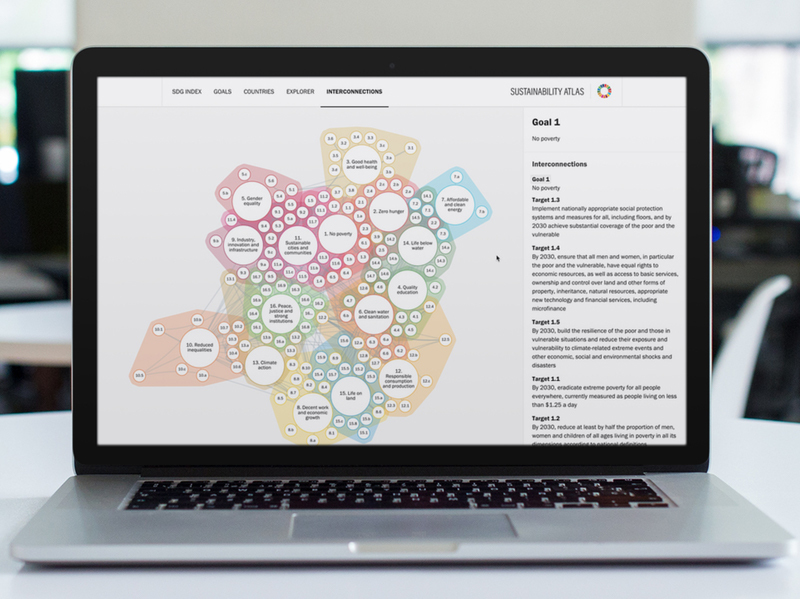 Accessible and easily understandable data and information are critical drivers of informed dialog concerning sustainable development – with the Sustainability Atlas, we visualize statistical data, research publications, news articles and social media conversations to help us keep track of the progress and implementation of the SDGs. The Sustainability Atlas lets you explore, track and compare countries by using the latest AI technology. Green Investment Tools for Sustainable Development: Currently the use of green investment tools, such as green bonds and decarbonization of financial portfolios, are growing. Nevertheless, compared with a global financial market these instruments are still very small – at the NTNU Sustainability Science Conference we join forces to scale up green investment tools. SDGs as Drivers of Utilization: Academia has a great capability of clarifying and finding pathways for sustainable development – at the SDSN Northern Europe’s members’ workshop series Agenda 2030 An Ocean of Opportunities for Academia we join forces for joint learning of how academia can increase their contributions to a sustainable society. 1/2 of Europe's population lives less than 50km from the sea. +3 billion people globally depend on marine and coastal biodiversity for their livelihoods. 77% of the catches made by the EU were in the northeast Atlantic Ocean according to Eurostat.